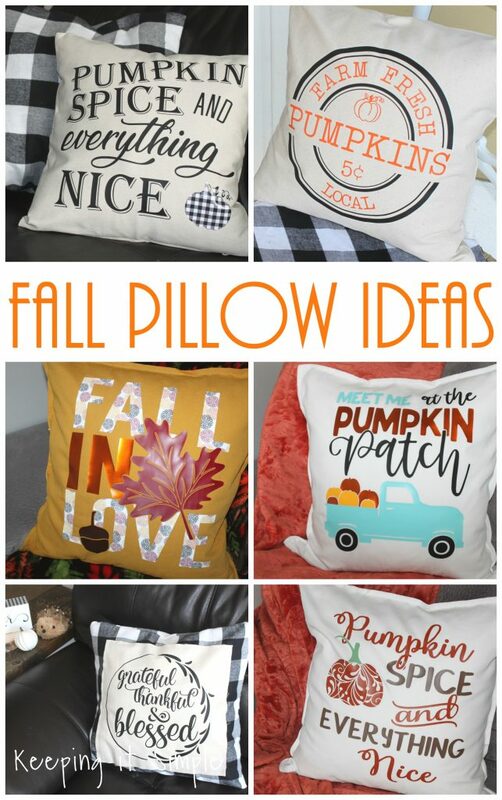 I love pillows! 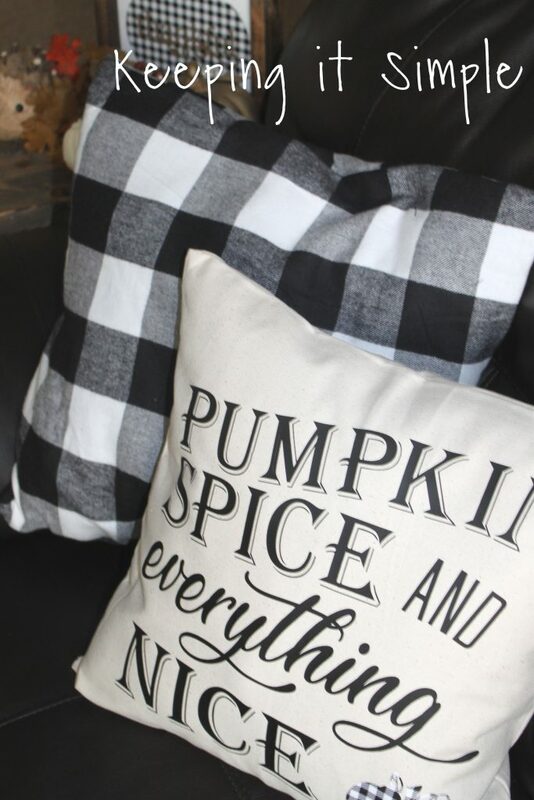 I cannot tell you how many throw pillows I have in my house. 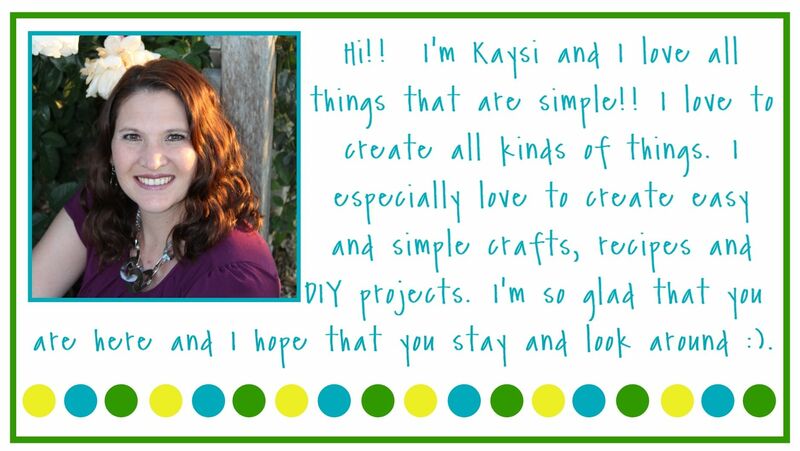 They are one of the easiest things to make and to switch out during the holidays. 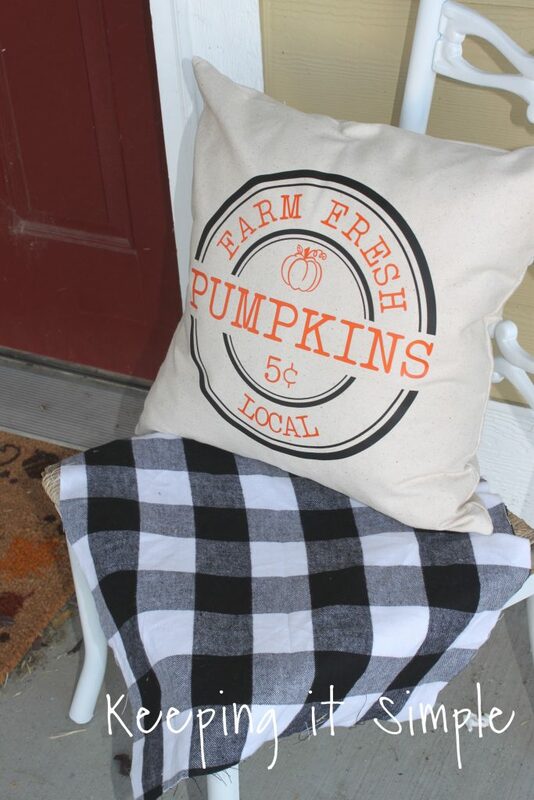 I used to make pillows for every holiday but then I stopped doing it for some reason. 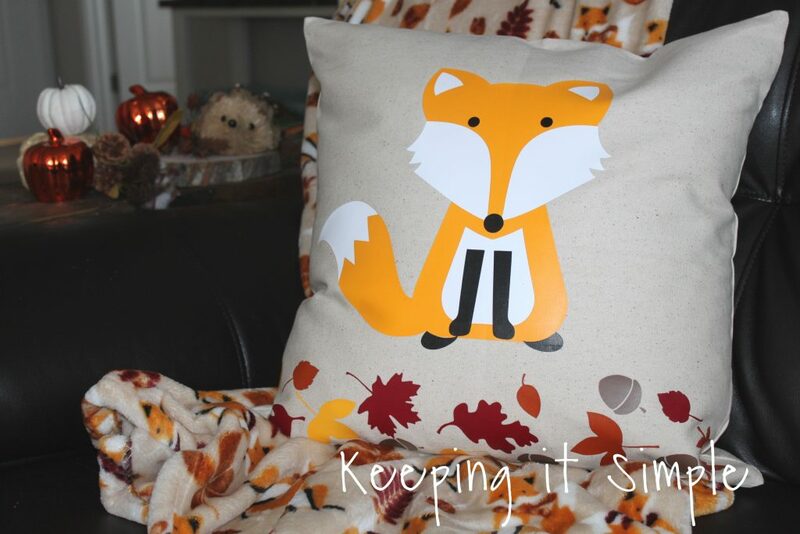 Well after getting my heat press this year, I decided that it was time to make pillows again! 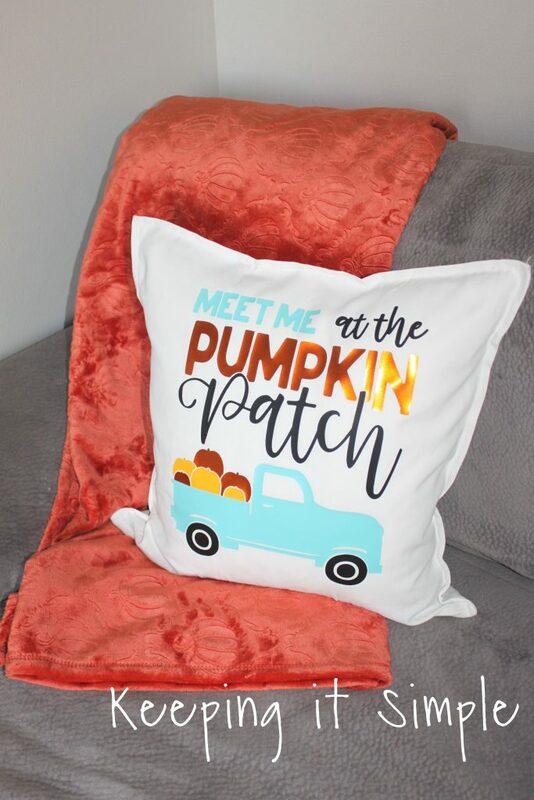 So I have made up about 10 pillows for fall this year (yeah I went a little crazy!). 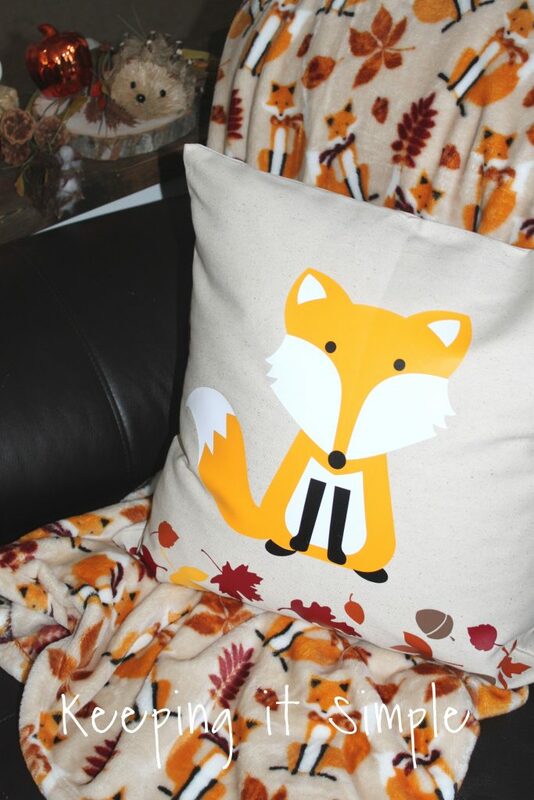 Since I have made so many pillows, I thought that I would share with you all the different designs and styles of the pillows that I have made :). 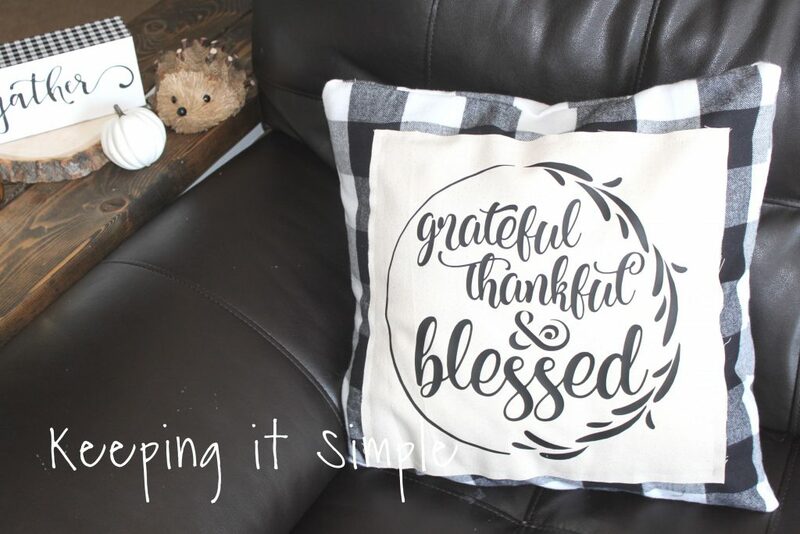 The majority of the pillow I have made, I have used heat transfer vinyl on it and then just a pillow cover that I have bought at the store. Here is a quick video to show you the process of how I make them. 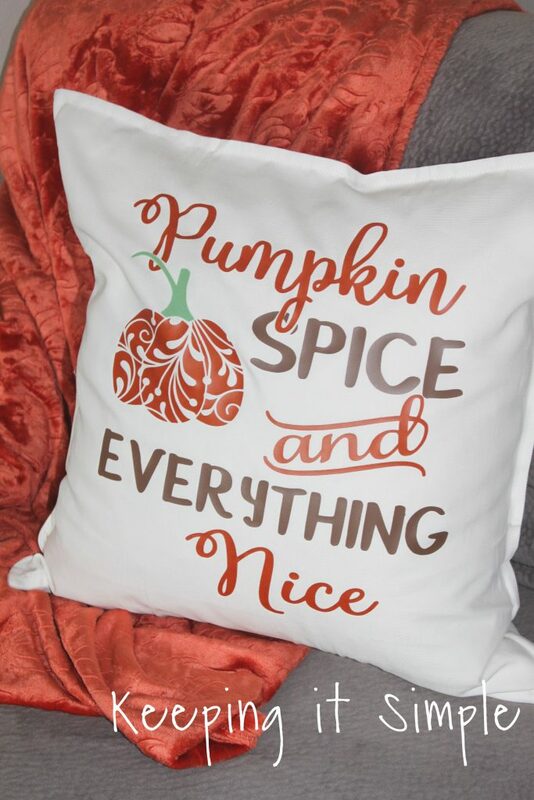 Now let’s get to the fall pillows! 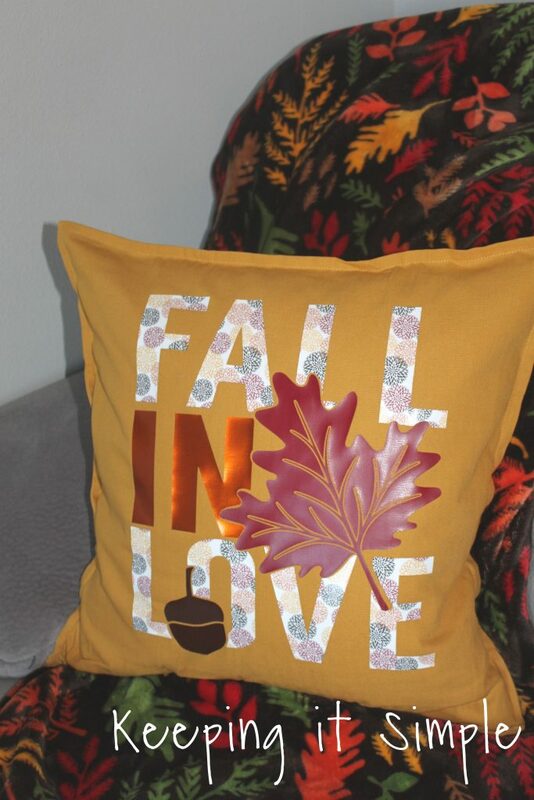 For this pillow I used regular Easyweed HTV in the colors black, sun and Tiffany blue. I then used an electric orange for the word pumpkin. 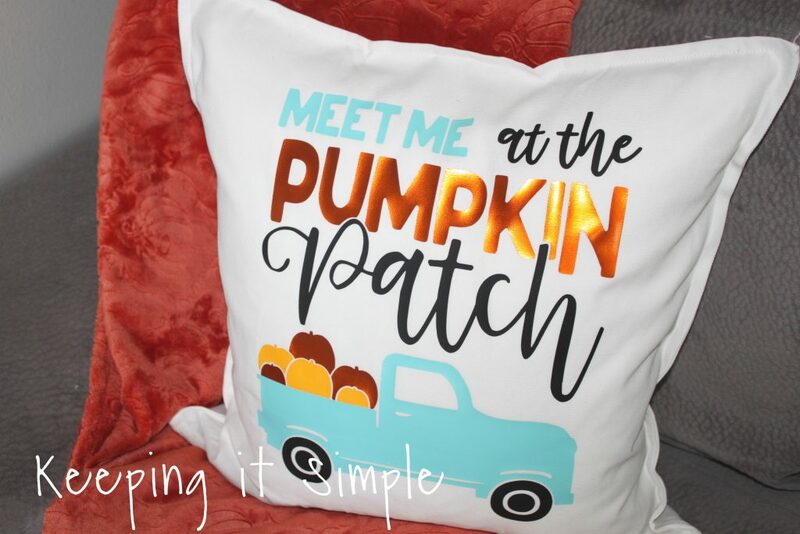 For this design I used the Easyweed HTV in the colors Texas orange and chocolate. Then the stem is a strip flocked HTV in green. 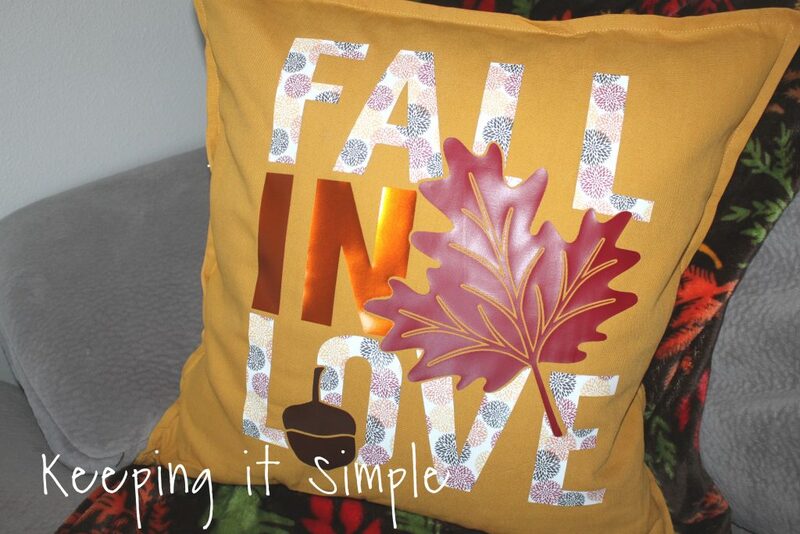 For this pillow I wanted to use this gorgeous fall patterned HTV called Fall Floral Bust. I paired it with the Easyweed HTV in the colors cardinal and brown and also the electric orange. Here is a close up of the patterned vinyl. I love it so very much! 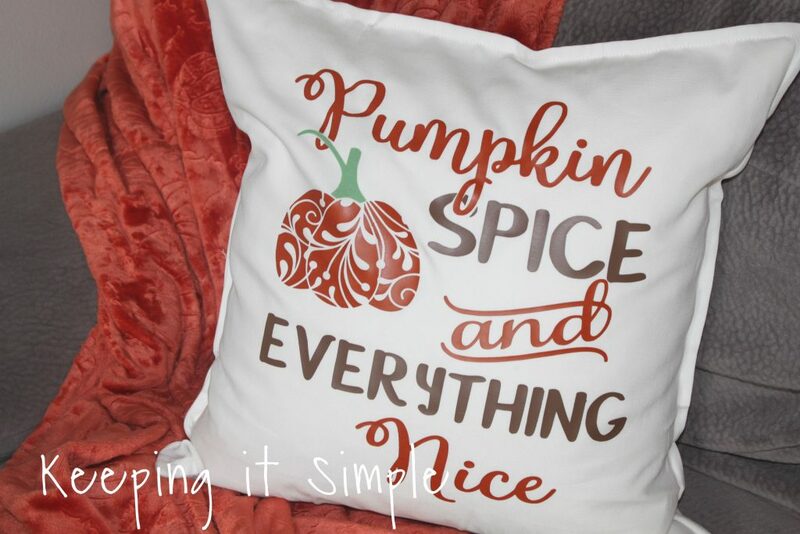 For this pillow I just used the Easyweed HTV in black and orange. Go here for the full tutorial of it. 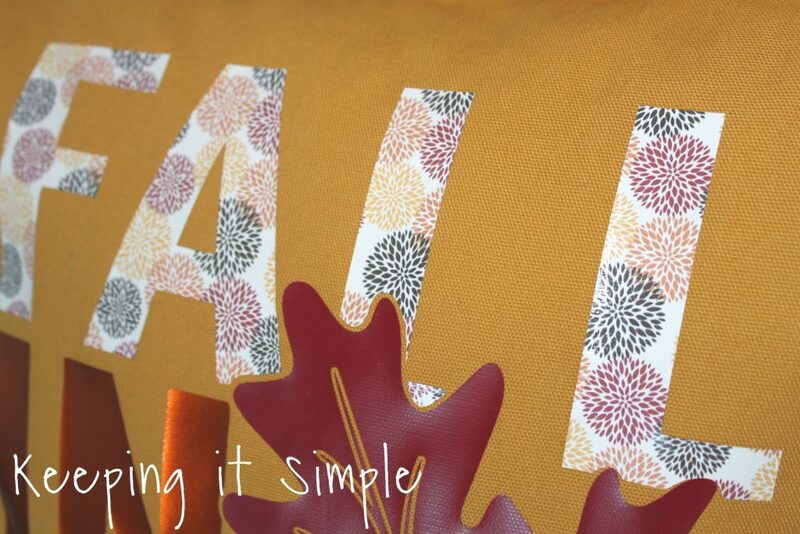 For this one I used Easyweed HTV in colors sun, Texas orange, cardinal, brown and yellow. 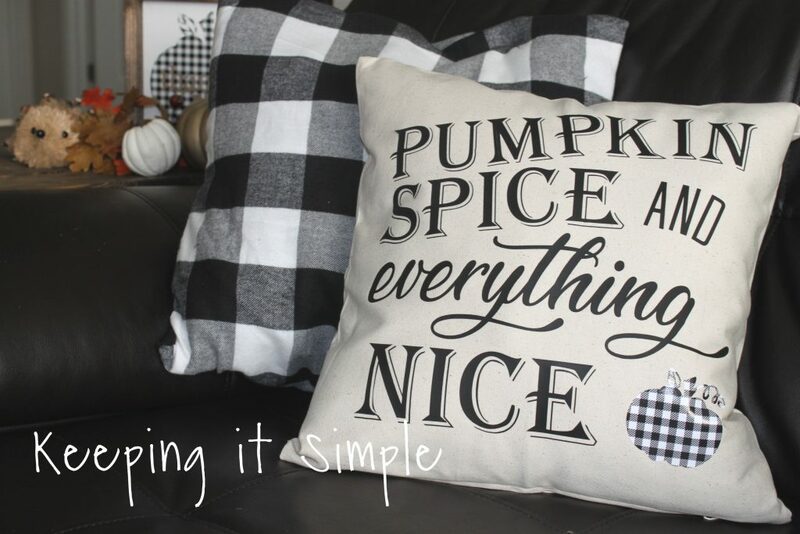 For the full tutorial on how to make this pillow, go here. 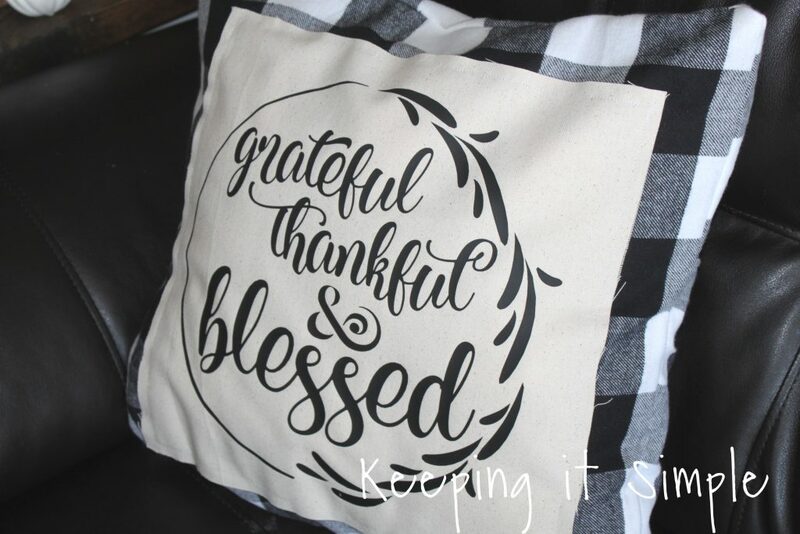 For this pillow I used stencil vinyl and then some amazing buffalo plaid HTV. 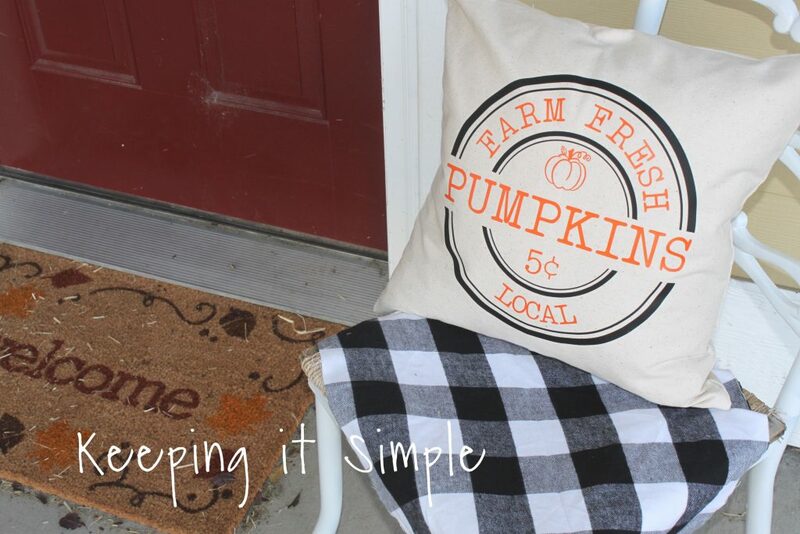 For this one I used the Easyweed HTV in black. 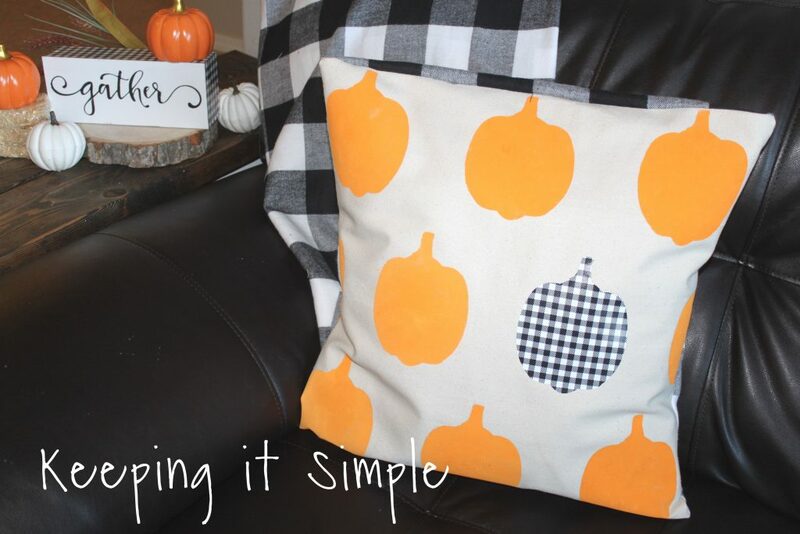 For the full tutorial on how I made this pillow, go here. 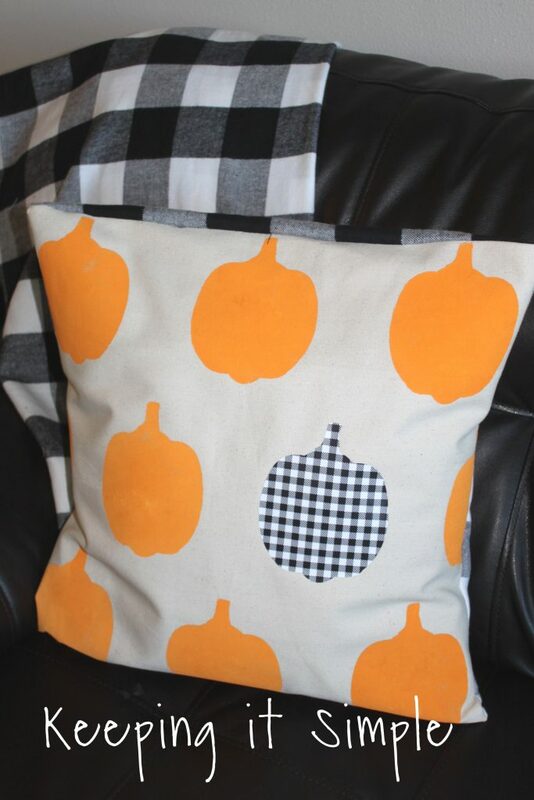 For this one I used black Easyweed HTV and then the buffalo plaid HTV. For the full tutorial, check out this post.